This workshop is great for all levels of artists - including beginners! 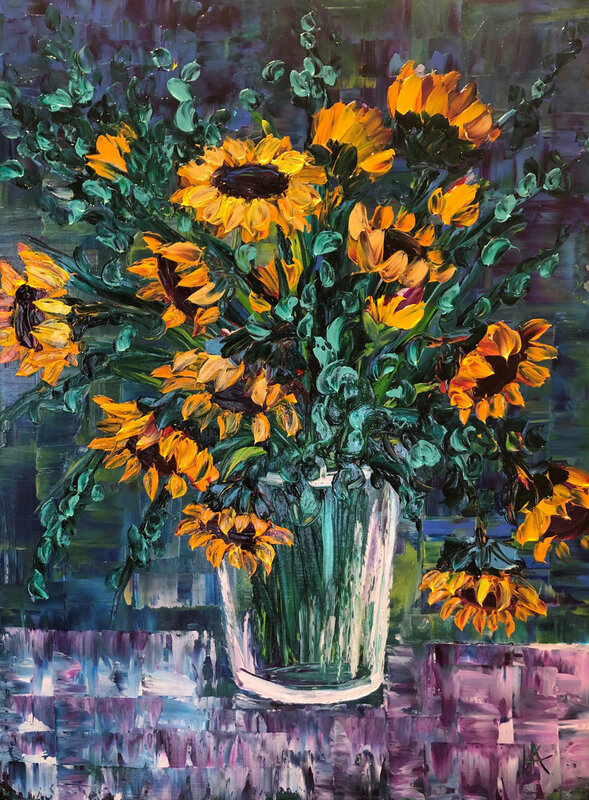 In this two-day workshop, you will be painting along with artist Kimberly Adams, as she shows you how to create a sumptuous impressionistic floral painting that is bursting with the summertime garden’s colors we all delight in. 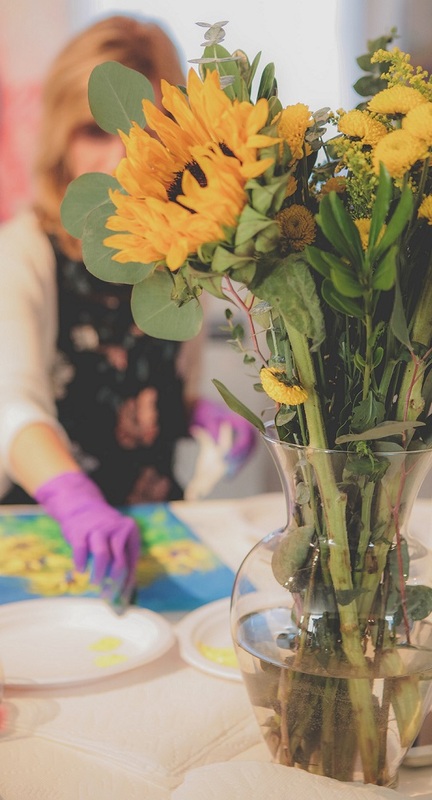 On Day Two, you will have an option to start a new canvas, or add to your canvas created on day one from a variety of newly placed flowers elegantly arranged in a vase, applying movement of color that transcends throughout the composition. Students love the second day of the workshop, with the quick results that materialize as they become more comfortable with finger painting with oils. 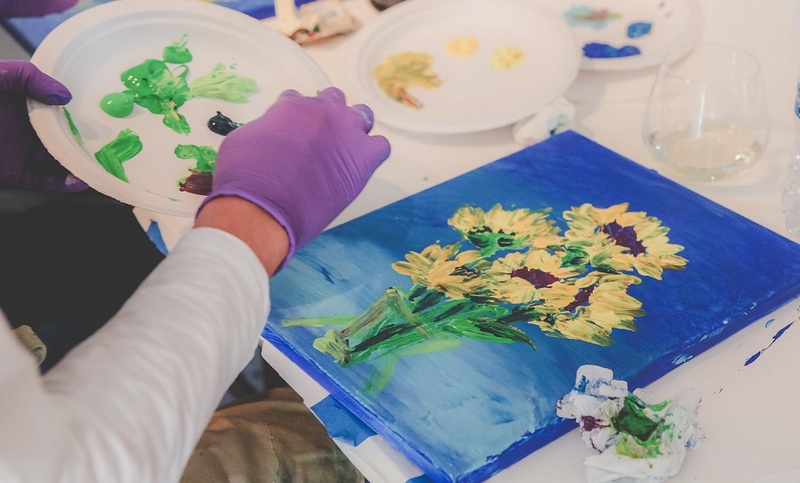 At the end of this class you will take home a unique impressionistic floral still life that will dazzle your family and friends. Kimberly will be using Holbein Duo Aqua Oils. 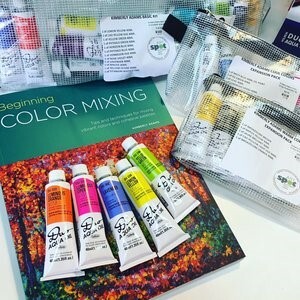 Holbein and Gamblin regular oil paints can also be used. Some of the colors can be substituted with colors as indicated below; the result might be slightly different from Kimberly’s painting. If students want to use other brands, they should be artist quality paints. *If student wants to paint flowers other than sunflowers they will need to get a few optional colors. Check this out! ARTspot Concierge Service. ARTspot will personally do your shopping for you! They can set aside the materials you need, ready for pickup - they can even deliver your supplies to Cole Art Studio the day of class. Call ARTspot at 425.640.6408 for this great service. To ensure your order is filled, please order as early as possible.